Here are the highlights for setting up Thunderbird 10 for IMAP SSL with your hosting account provider. It is assumed that you have already created email accounts on your host using CPanel tools or similar. 1) Download and install Thunderbird . This will install the necessary software on your computer. You may be asked to confirm the security certificate. It’s a good idea to do so and check the “remember this security exception” box. 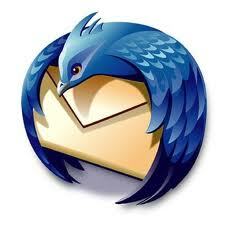 You should have an account created within Thunderbird and all your necessary folders including inbox and sent box. b) Click on “Copies and Folders” and make sure a copy of your sent mail is being saved back on your server, NOT to Local folder (unless you have a good reason for doing so). Try it out. Test sending and receiving. Play with the options. Note: Thunderbird might offer some “common settings” but you should choose “manual setup” to get the config correct, as per above.